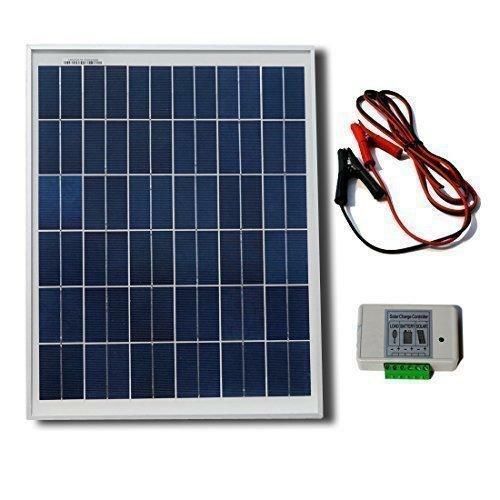 Here are sale the 25w home solar panel installer kit with high quality battery clips, the 25 watt solar panel is Made of the real Aluminium frame and Glass, not plastic. All of DC wiring from panel to battery clamps is 16 Gauge, is more than enough for 25 watts. If your full battery voltage reading at around 13.5 to 13.8, this mean: You're using around 50% to 80% of your solar putting out as the rest of your power stay into your main battery as of float charge, at the same time, your full 25 watts will turn down to around 8 watts, it also better for your battery too.This Chart will give you more vision, what it can do, safely.